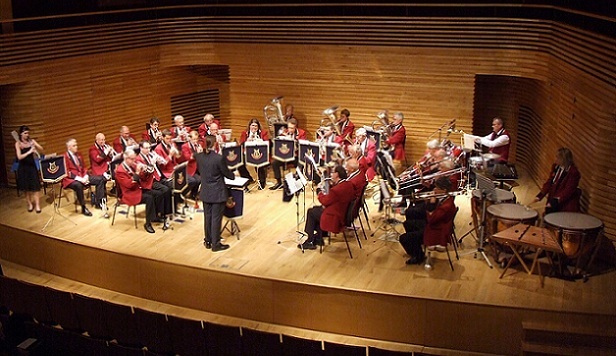 The band played at the prestigious Menuhin Hall for it’s annual Autumn Concert on the 29th October. 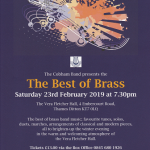 The theme of the night was ‘Music from the Screen’ and featured, amongst others, music from Superman, Jurrasic Park, Saving Private Ryan and Pirates of the Caribbean. 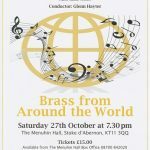 Guest soloist was Lucy Gibbs from the Arioso Orchestra in London who played the oboe in Gabriel’s Oboe and Hetty Wainthropp Investigates. 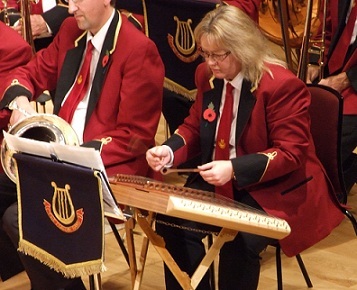 One of the bands percussionists, Julie Beaven, played an unusual instrument – the Hammered Dulcimer. The origins of this instrument are said to date back over 2000 years and it is a forerunner of the modern piano. 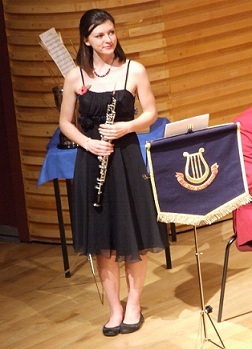 Julie played a solo in Braveheart and a composition of Some Enchanted Evening. 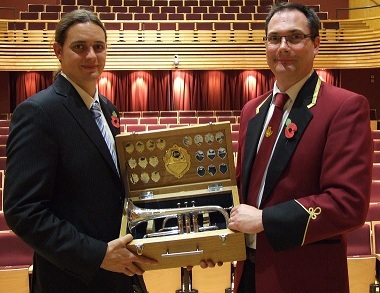 It is believed that this is the first time this instrument has been played in collaboration with a brass band. 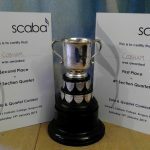 The Cobham Band returned from the annual SCABA (Southern Counties Amateur Band Association) Autumn Contest in Folkestone with a prize! 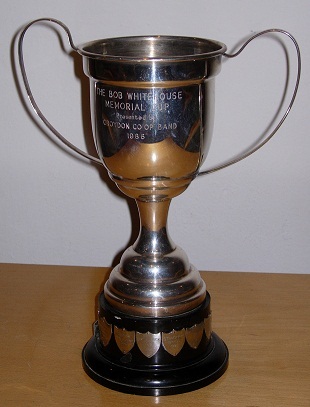 The band played ‘Three Songs Without Words’ by Eric Ball and came third, winning the Bob Whitehouse Memorial cup. 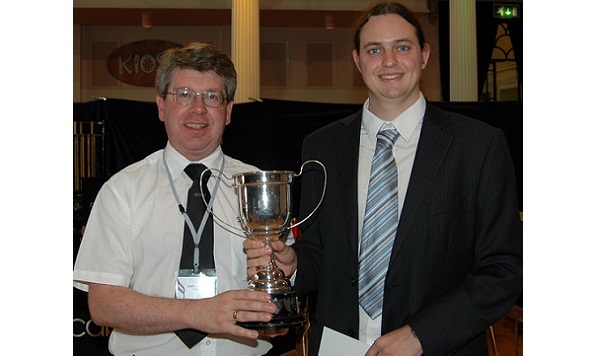 The Cobham Band is delighted to announce that it has appointed Robin Langdon as its Musical Director. 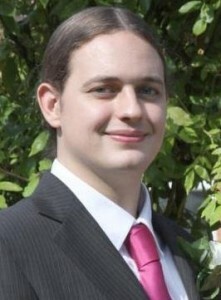 As well as conducting the band, Robin is a composer, performer and teacher.